Click table above to view the data. 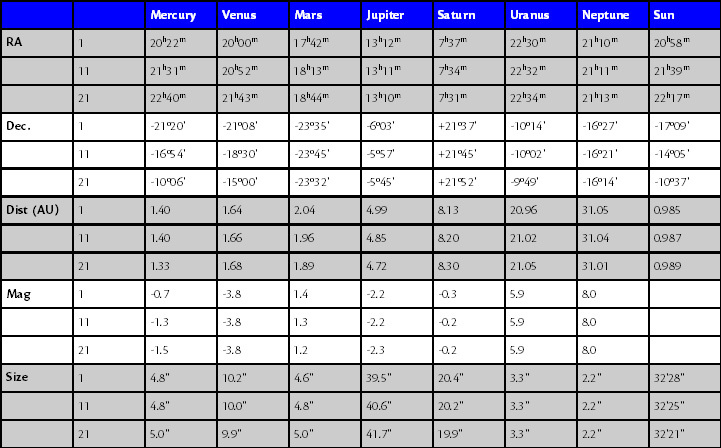 Solar System Stats for February 2005 Adapted from the Observer's Handbook published by The Royal Astronomical Society of Canada which in turn gets this data from the U.S. Naval Observatory's Nautical Almanac Office and Her Majesty's Nautical Almanac Office and contributions by David Lane, St. Mary's University, Halifax NS.